Redox Signaling Molecules (RSMs) have been around as long as we have. They are native to our bodies – they are already in us – and without them we would die. The breakthrough is that science has discovered how to make these identical molecules outside of our bodies, in a bio-active stabilized form, with a shelf-life of at least one year at 90% potentcy. The significant and central importance of how our cell signaling communicates and activates our immune systems, and the many other systems that are showing great increases in amplification and clarification of their messaging communicators, are at the core of this shift in knowledge and understanding. This breakthrough has been available for just a few years and is already being compared to the discovery of DNA and penicillin by those in the know. And it is proven to be safe, non-toxic, is not a drug (thank god), is patented and only available from one pristine source. 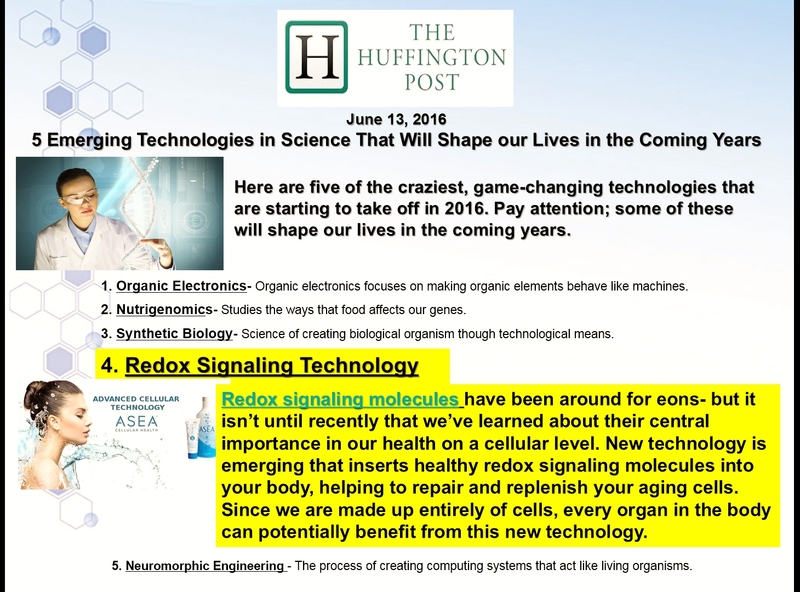 Last week the well-known worldwide publication The Huffington Post said this about ASEA in their article titled “Five Emerging Technologies in Science That Will Shape our Lives in the Coming Years”. In a nutshell, this technology provides healthy, STABILIZED redox signaling molecules to your body, which amplify and clarify cellular signaling… helping to detect, repair and replenish your aging, worn-out and defective cells. Since we are made up entirely of cells, every organ, gland and system in our body will benefit from this technology. Imagine . . . drinking just 4 to 8 ounces a day and applying the topical gel onto your skin, face and any troubled area at least twice a day. Observe how you look, feel and perform over the next 30, 60, 90 days. Yep, that’s all there is to it. It may sound too good to be true, as all great breakthroughs do in the beginning, so be sure to look beyond the surface and know the science behind it. Ann Louise Gittleman, Ph.D., C.N.S. is one of the top nutritional experts in the world, with a focus on functional and integrative health and medicine. Here she speaks of ASEA, Bruce Lipton and Epigenetics. The BIG BICTURE Of All This . . .
You Have Waited For All Your Life! Here’s Our Story and Why we do what we do — Our Story: People Before Profit. 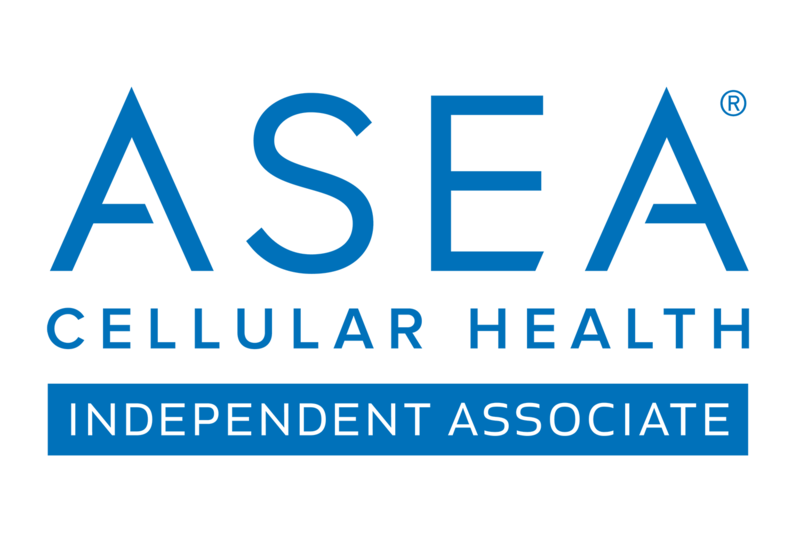 Reach out to an ASEA Associate or get started right here.